Below you fill find all funeral homes and cemeteries in or near Centralia. Suburbs of Centralia: Central City, Cravat, Finney Heights, Raccoon, Suburban Heights, Wamac. Zip codes in the city: 62801. Some of the notable people born here have been: Nancy Scranton (golfer), Brian Dinkelman (baseball player), Gary Gaetti (baseball player and coach), and Bryan Eversgerd (baseball player). Centralia is a city in Marion, Clinton, Jefferson, and Washington counties in the U.S. state of Illinois. The population was 13,032 as of the 2010 census, down from 14,136 in 2000. The current mayor is Tom Ashby. It was noted by The County Journal on September 27th, 2018 that Matthew Smith died in Centralia, Illinois. Smith was 32 years old. Send flowers to express your sorrow and honor Matthew's life. It was noted on August 10th, 2018 that J D "Buffalo" Roberts died in Centralia, Illinois. Roberts was 70 years old. Send flowers to share your condolences and honor J D "Buffalo"'s life. It was noted by Centralia Sentinel on June 14th, 2018 that Geraldine "Gerry" Vanzandt (Eller) passed on in Centralia, Illinois. Ms. Vanzandt was 82 years old. Send flowers to express your sympathy and honor Geraldine "Gerry"'s life. It was noted by Centralia Sentinel on June 13th, 2018 that Graham Dean Updike perished in Centralia, Illinois. Updike was 76 years old and was born in Greensburg, IN. Send flowers to express your sympathy and honor Graham Dean's life. It was written by Centralia Sentinel on June 13th, 2018 that Lorraine A Weihe (Hardy) perished in Centralia, Illinois. Ms. Weihe was 74 years old. Send flowers to express your sorrow and honor Lorraine A's life. It was noted by Centralia Sentinel on June 7th, 2018 that Norma Jean "Sissy" Tate (Diveley) died in Centralia, Illinois. Ms. Tate was 47 years old. Send flowers to express your sorrow and honor Norma Jean "Sissy"'s life. It was revealed by Centralia Sentinel on June 5th, 2018 that Donna Sue Schuchman (Hughes) passed on in Centralia, Illinois. Ms. Schuchman was 76 years old. Send flowers to share your condolences and honor Donna Sue's life. It was reported by Centralia Sentinel on May 29th, 2018 that Randy Densmore perished in Centralia, Illinois. Densmore was 66 years old. Send flowers to share your condolences and honor Randy's life. It was revealed by Centralia Sentinel on May 29th, 2018 that James H "Shorty" Detering died in Centralia, Illinois. Detering was 65 years old. Send flowers to express your sorrow and honor James H "Shorty"'s life. It was noted by Centralia Sentinel on May 27th, 2018 that Jane Hayden (Sullens) perished in Centralia, Illinois. Ms. Hayden was 88 years old. Send flowers to express your sympathy and honor Jane's life. Coal mining virtually stopped overnight following a 1947 mine disaster that killed 111 miners. But through good times and bad, Centralia (pop. The population was 14,136 at the 2000 census. The town is named for the railroad. 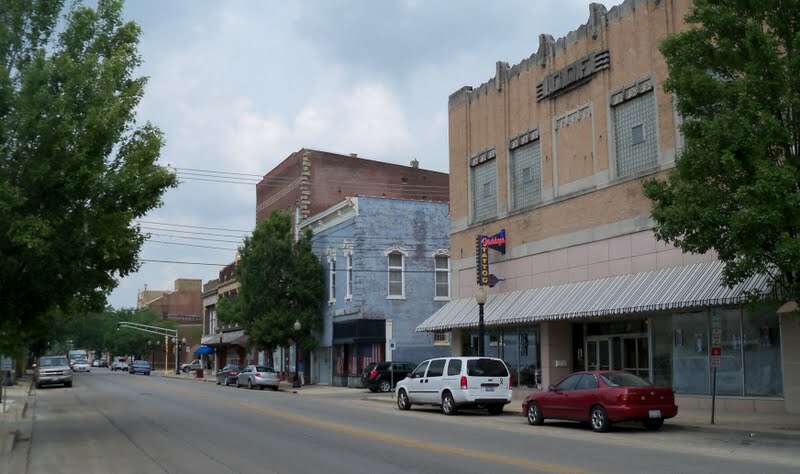 Centralia is a city located in Marion County, Illinois Washington County, Illinois Clinton County, Illinois and Jefferson County, Illinois Counties in the US state of Illinois. The official website for the city of Centralia is http://www.city.centralia.il.us/. Listing all funeral homes in Centralia, Illinois so you can easily send flowers to any location (same day delivery) or find any funeral service. Funerals in Centralia, IL on Yahoo! Local Get Ratings & Reviews on Funerals with Photos, Maps, Driving Directions and more. We work with local florists and flower shops to offer same day delivery. You will find budget sympathy flowers in Centralia here. Our funeral flowers are cheap in price but not in value.